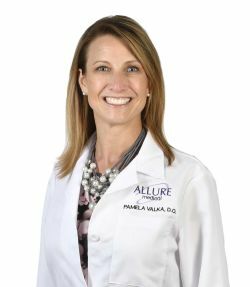 Dr. Pamela Valka is a Family Practitioner with over 17 years of experience in the busy outpatient setting. Her excellent bedside manner is reflected by her stellar patient reviews. Her prior practice focused on women’s health and preventive medicine. Dr. Valka received her Doctorate of Osteopathic Medicine from University of Osteopathic Medicine & Health Services in Des Moines, Iowa in 1997. She completed Residencies in Family Medicine at Mount Clemens General Hospital (now McLaren Macomb), Mount Clemens, Michigan, and at Bon Secours Hospital in Grosse Pointe, Michigan.